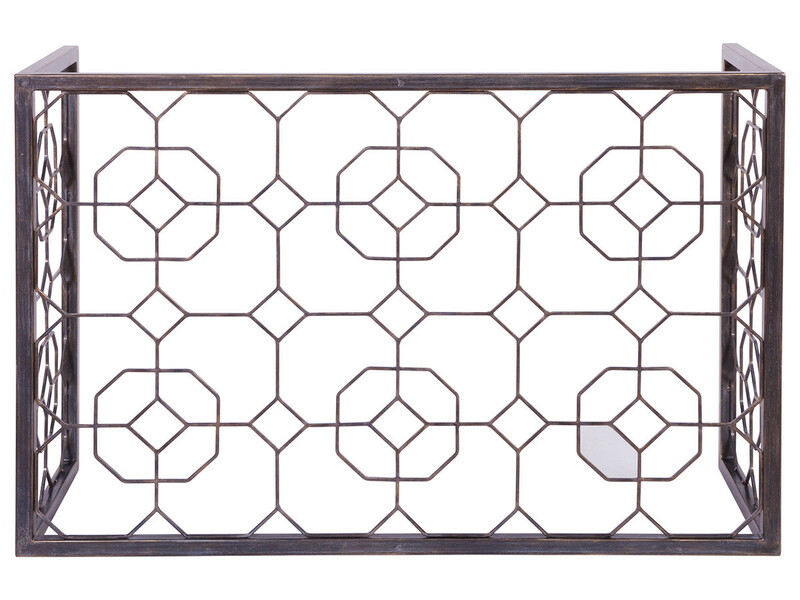 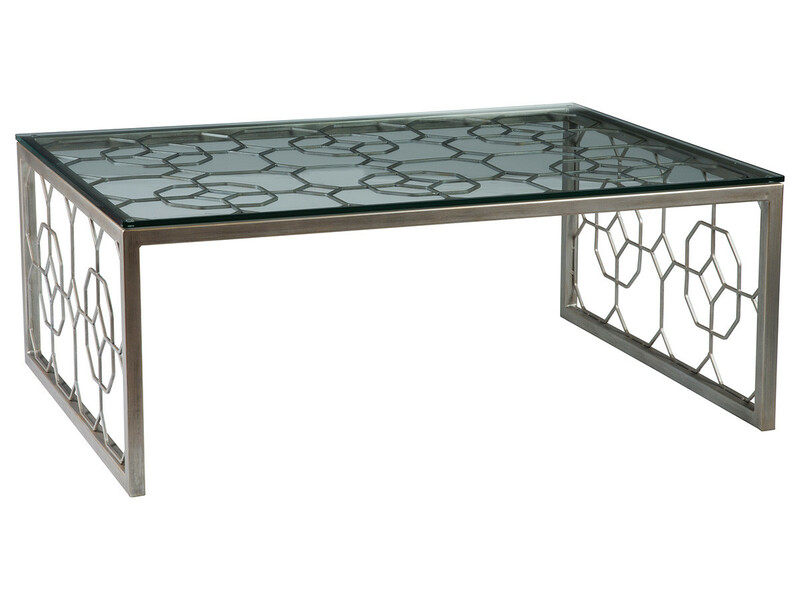 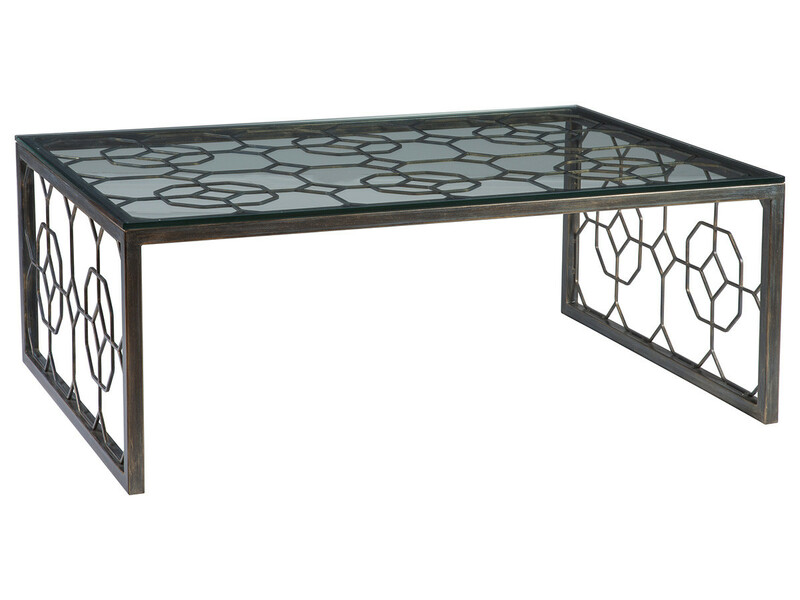 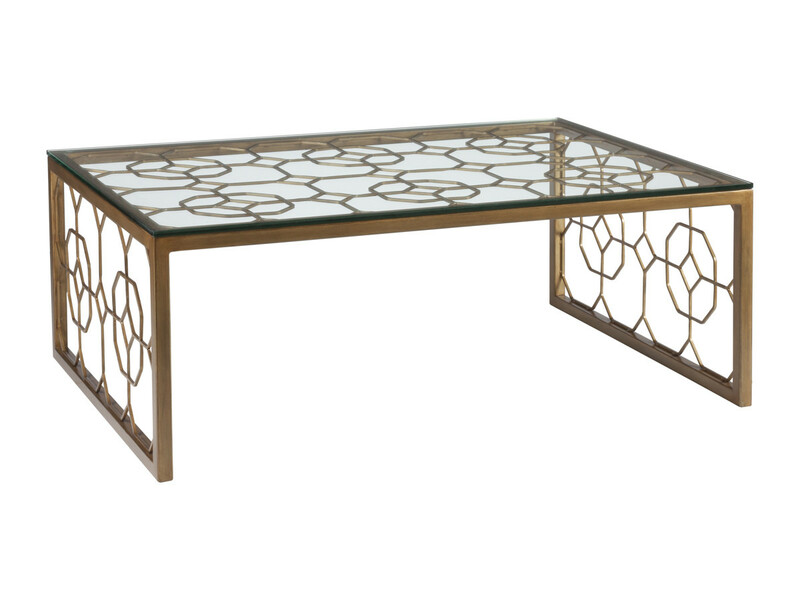 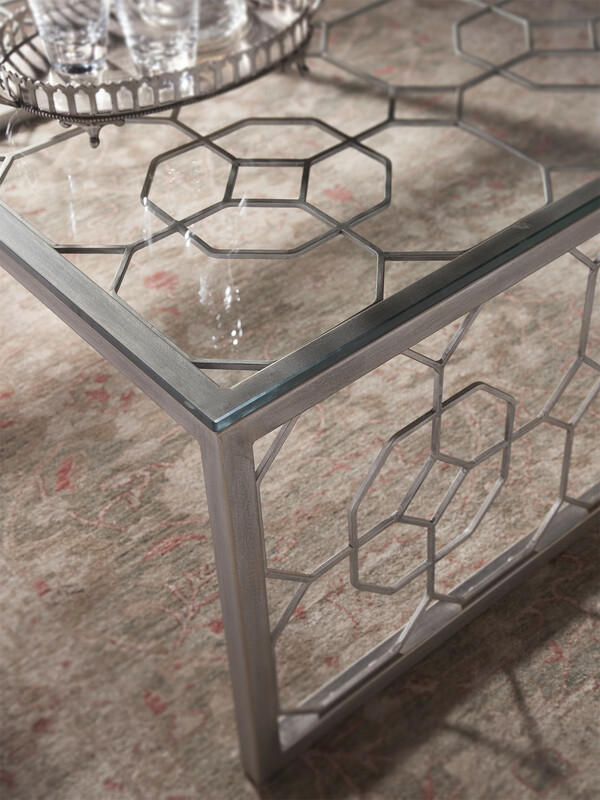 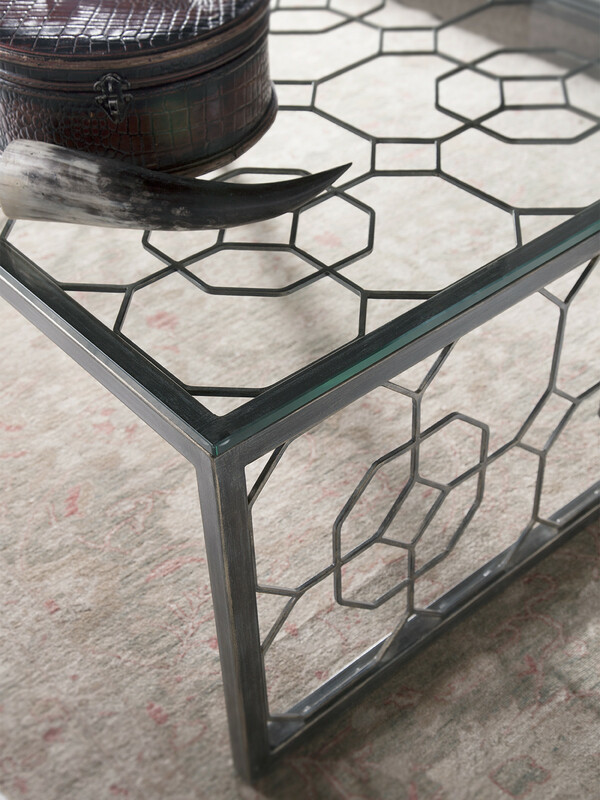 Hand-forged iron base with flat edge glass top. 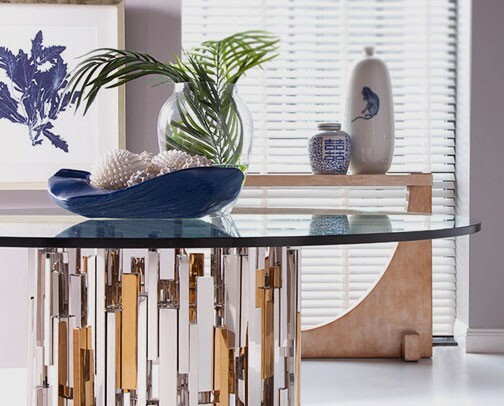 Shown in the St Laurent finish, a rich natural tone with touches of light gesso and gold highlighting, but also available in all Artistica Metal Designs finishes. 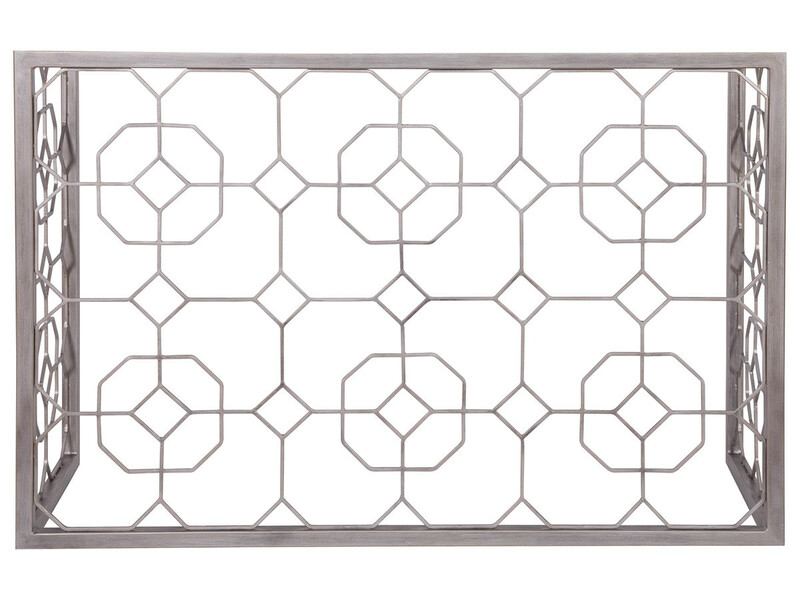 Dimensions: 50W x 34D x 19H in.